The editors could not find information on the naturalisation of this species globally. 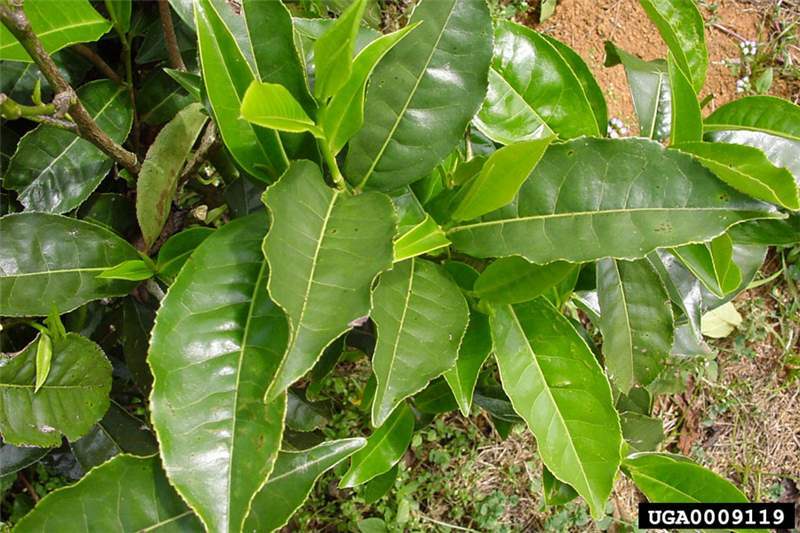 Camellia sinensis is grown as a cash crop in plantations at high altitudes in East Africa. In Kenya, it is cultivated in Limuru, Kericho, Mt Kenya among others. In Uganda, tea is grown in Toro, Mubende and Mengo areas. (Paul Ssegawa, pers.com). 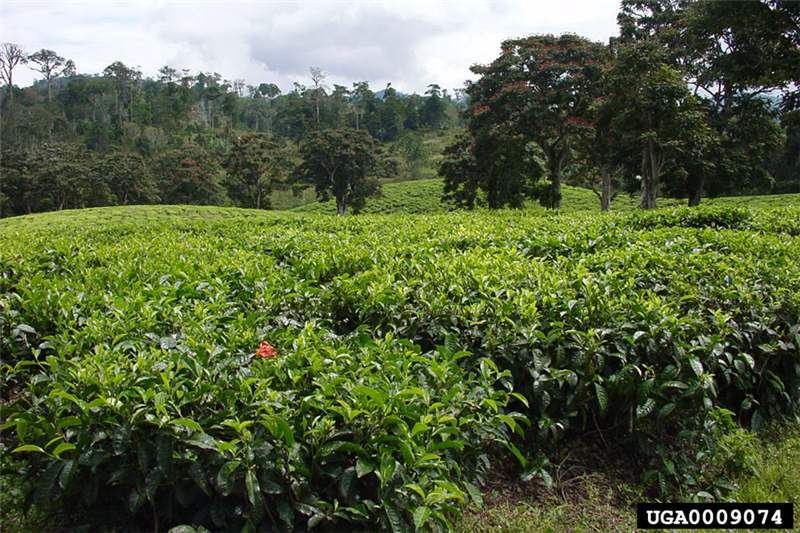 In Tanzania, tea plants have been noted to escape from cultivation in areas of Amani, Mt Kilimanjaro and are considered to be invasive in parts of the Usambaras (Cicuzza and Kokotos 2010). Forest edges and gaps at high altitudes in well drained soils. Camellia sinensis plants are evergreen, medium sized woody shrubs growing to a height of 1.8 m.
Leaves are oval and pointed at the tip; usually 5-10 cm long, shiny, dark green above. Leaf margin finely dentate (serrated). Flowers are white, fragrant and up to 4 cm diameter, with five petals. 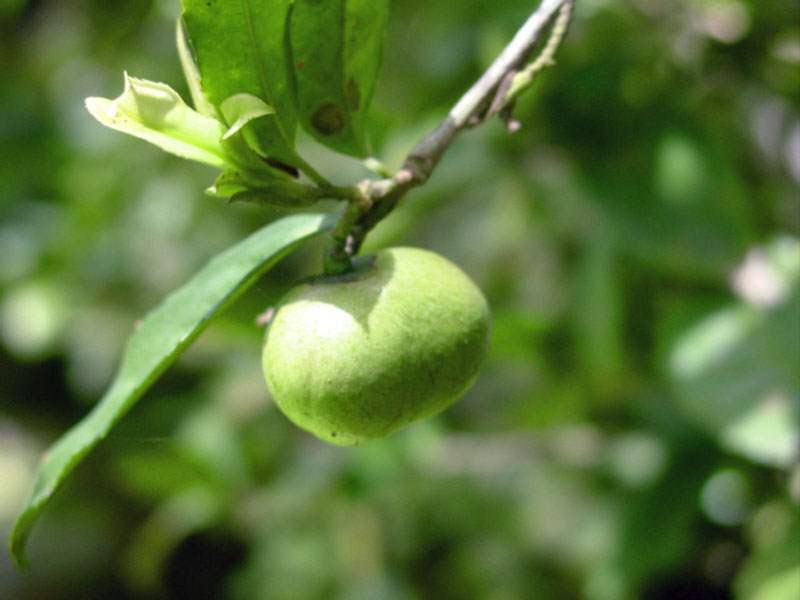 The fruit is a 3-angled capsule with three seeds and is surrounded by persistent sepals. 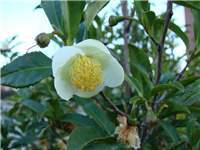 Seeds of Camellia sinensis are animal-dispersed. 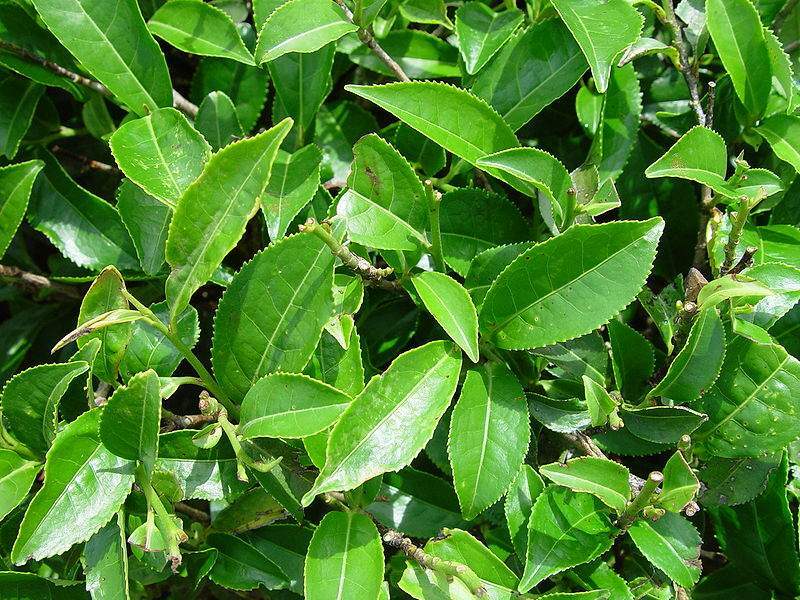 Camellia sinensis is cultivated in many parts of the world for black tea, green tea, white tea etc. It is an important cash crop in East Africa. The wood is used for fuel. 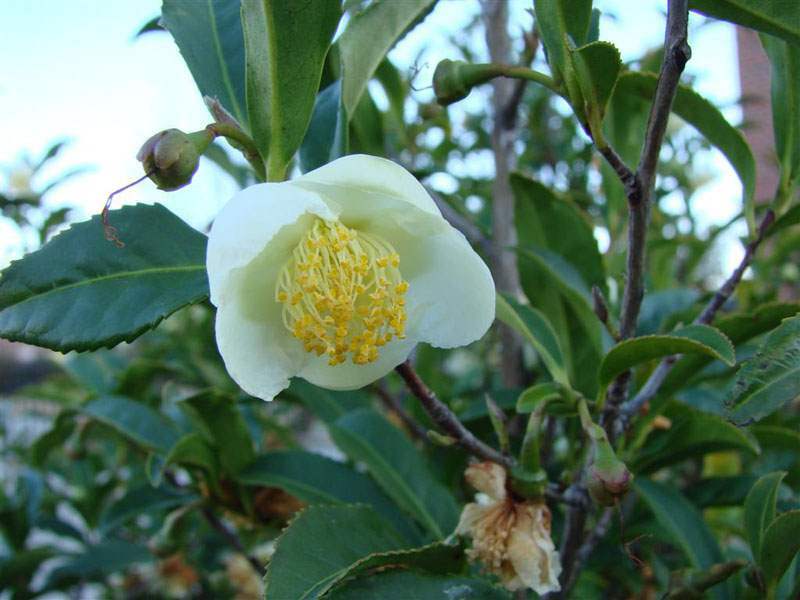 Camellia sinensis can spread from abandoned plantations into disturbed and undisturbed, natural forest and a logged forest where it can suppress the regeneration of other species. Tea has spread in this way in the Amani Nature Reserve in the East Usambara Mountains of north-eastern Tanzania. Paul, S., Wachira, F.N., Powell, R. and Waugh, R. (1997). Diversity and genetic differentiation among populations of India and Kenyan tea (Camellia sinensis (L) O. Kuntze) revealed by AFLP markers. Theoretical and Applied Genetics 94: 255-263.